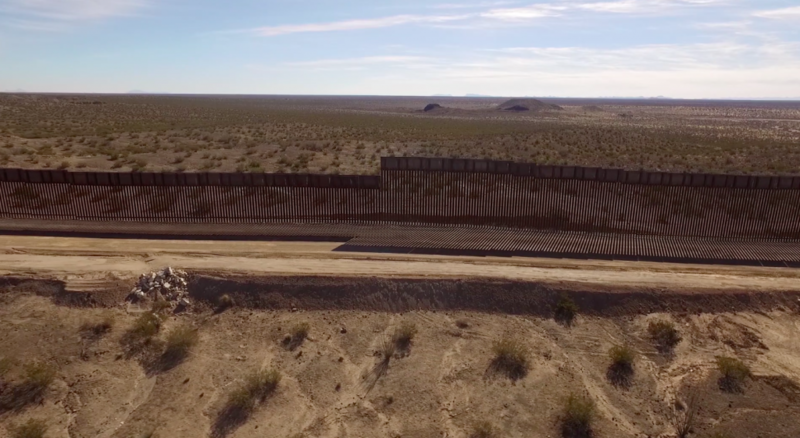 Drone footage of new border wall in New Mexico shows that the Trump administration’s border militarization is already damaging ecosystems and wildlife. Trump waived 25 laws that protect clean air, clean water, public lands and endangered wildlife to speed construction of 20 miles of new walls. The video, taken by the Center for Biological Diversity and available for media use, shows the 18-foot-tall bollard-style barrier constructed in the remote Chihuahuan Desert. The wall replaced waist-high vehicle barriers that allowed wildlife to move back and forth across the border. The remote wilderness of sagebrush and soaptree yucca is not a crossing point for drug smugglers or migrants. But it is home to rare animals, including the Mexican gray wolf and Aplomado falcon, as well as kit foxes, bighorn sheep and ringtail cats. The new bollard-style wall blocks the natural migration of wildlife. The $73 million wall is also likely to cause flooding and erosion. In March the Center sued to challenge the New Mexico waivers. The Center also is challenging similar waivers used to rush wall construction in Texas and California. 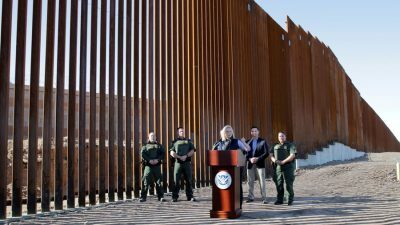 This month the Trump administration is expected to break ground on more border-wall construction in Texas’ Rio Grande Valley, using $1.6 billion approved by Congress last year. The Texas walls would cut through the Lower Rio Grande Valley National Wildlife Refuge, National Butterfly Center, Bentsen-Rio Grande State Park and the grounds of the historic La Lomita Chapel, as well as family farms and other private property.